It is well-known that we tend to buy from people (and businesses) that we like. I mentioned this in the last post on copywriting team pages and allowing your customers to contact your team. This tendency extends to the people we work with as well. We tend to want to work with people we like. Which makes a lot of sense of course. Who would want to work with un-likeable people? So there lies another copywriting benefit of putting your people on the page, and allowing them to be contactable – it helps with recruitment. Of course, you’ll also have a ‘jobs’ page that lists out current opportunities. What I’m referring to here, is including a team page that is for recruitment. Something that describes the culture, and how your people feel about your company – something beyond a list of jobs. 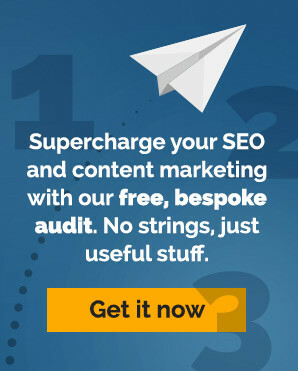 More SEO ‘juice’ – your team and your copywriting will be talking about your business, what you do, who you do it for. This will most likely contain many of your keywords (if not, get them in there!) and will allow another, credible voice to the mix. Helps with ‘fit-ness’ – many candidates are interviewing you and your business as much as you are them. By showing your team up front, your potential recruits get a better understanding of how they can fit (or not). Sales too – part of your target audience will want to know how your team feels about working for you, because they want to know who they are supporting. It’s all part of building credibility in the mind of your readers. There are some great examples of how other copywriting services have executed the brief for team pages. I highly recommend looking outside your industry niche for inspiration. One way is to feature some of your key people and get them to tell their own story about being hired, what they felt like on the first day, and what it’s like day-to-day. This storytelling technique is easy research for you, and is engaging for the potential candidates as their fears can be put at ease. Another technique is to write a ‘typical day’ from the perspective of one of your team members, covering the more general activities they perform, as well as conversations they have, who they speak to, and what hours they are putting in. This gives a good overview of the business culture and allows your reader to see themselves performing in the role. Whichever way you choose, by asking the people in your business to tell their own stories, you are also getting another benefit out of this exercise – honouring your people. Coming next in the series: Case study copywriting Part 1 – Does anyone read these? ← Website copywriting dissected: Case study copywriting Part 1 – Does anyone read these?